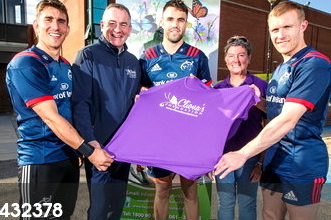 MUNSTER Rugby are pleased to announce that Cliona’s Foundation and the Irish Cancer Society have been selected as the club’s nominated charities for the 2018/19 season. 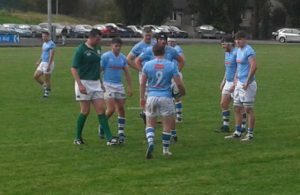 Over the season Munster Rugby will work closely with each charity, actively supporting them in helping raise awareness and funds for much-needed resources that are widely availed of across the province and Ireland. The mission for Cliona’s Foundation is to provide financial assistance for all families struggling to care for children with a life-limiting condition. Based in Limerick, the charity has provided assistance to families all across the country. The Irish Cancer Society, with services in place across the province, has grown into the national charity for cancer care, the leading provider of all information relating to cancer prevention, detection, treatment and support. Both charities joined Munster and Ireland players Conor Murray, Keith Earls and Ian Keatley at the University of Limerick training base this week to launch the new partnership. “We are privileged and excited to have been selected as a Charity Partner for the 2018/2019 season,” said Brendan Ring, Co-Founder of Cliona’s Foundation. 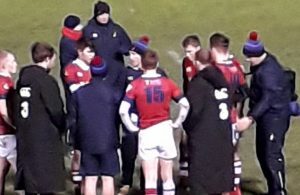 “The Munster Rugby brand and family of backroom team, players and supporters is very special and unique and, on a personal level, an experience we have enjoyed for many years. Being an extended part of this family with a worldwide profile and support is a huge honour for Cliona’s Foundation. “We are looking forward to working with Munster Rugby on raising awareness of the hidden financial struggles families of sick children endure and how Cliona’s Foundation supports them. Averil Power, CEO of the Irish Cancer Society, said: “The Irish Cancer Society is delighted to be chosen as Munster Rugby’s charity partner for 2018/2019. Over 40,000 people get a cancer diagnosis in Ireland annually and as an independent charity we rely almost entirely on donations to provide vital services to ensure no one faces cancer alone.